Recently, a customer got in touch and said that she wanted to make the Rushcutter View A (the version with sleeves), but would like to add buttons to the back, like View B, but wanted to check if it was an easy adjustment to make to the pattern. It is a nice and easy adjustment to make, and it is a tutorial I have been meaning to create forever, so I thought this was a sign it was about time I got around to it, as I am sure she is not the only one who would like to make this adjustment! If you have used the Rushcutter pattern, you will know that both stitching line and cutting lines are marked on the pattern. Why is the stitching line marked? When I first decided to start creating sewing patterns for home sewers, one of the first decisions I made, before I even started sketching, was that I wanted to create patterns that would help sewers develop their skills, in both sewing and pattern making. By including the stitching lines on each pattern piece, it makes it much easier to understand how the pattern was originally made, but also allows for easy adjustments and 'hacking' to the pattern (as all pattern alterations should be done without seam allowance added to the pattern). In the image you can see that the stitching line is marked with a red line, while the cutting line (outside edge of the pattern) is marked with a thick black line. If you wanted to make changes to this particular pattern piece, you could simple cut along the stitch line to remove the seam allowance, and the piece would be ready to be altered. Before making any adjustments to a pattern, I always suggest having a good idea of how the pattern works and fits in it's original design. So, for this example, have a look at how the button placket works on View B, before adding it to View A. As you can see, the button placket is made up of three sections, that folded to create the button placket. The first (closest to the centre back) is 1cm from the centre back. This is the first fold line. The next line is 2cm from the first fold line and is the second fold line (the buttons and button holes will be placed between these two lines). And the third line is 1cm from the second fold line and is the edge of the pattern piece. When the piece is cut, the first fold line is folded and pressed towards the centre back. The second fold line is folded and pressed, enclosing the raw edge inside, creating a button placket. To finish, the buttons and button holes are placed on the centre back line. To see how this looks in fabric, you can check out this step from the Rushcutter Sew-Along. Take the 'UPPER BODICE' pattern piece from View B, and cut along the centre back line, removing the placket from the pattern. If you would like to keep the pattern intact, simply trace a copy of the placket section onto a seperate piece of paper. Now that you have removed the placket, you can get your sleeve pattern (from View A) ready. You will be placing the right edge of the placket onto the centre back of the sleeve pattern (the stitch line). Line the placket up with the centre back of the sleeve pattern and tape or glue in place. And that's it... Your Rushcutter is ready for buttons instead of a zip! If you have already printed your pattern, and then decided to change from zip to buttons, and don't have the pattern pieces from View B, do not worry! It is super simple to create the placket piece, with the help of a pencil and a ruler. Take your sleeve pattern and remove the seam allowance from the centre back seam (by cutting along the stitch line marked on the pattern). Take a small piece of pattern paper, and tape it to the centre back of the pattern, creating space for your placket. 1. Drawing a line 1cm (3/8in) from the centre back, running parallel to the centre back. 3. The final line will be drawn 1cm (3/8in) from the second line. Extend the top and bottom edges of the sleeve pattern to complete the placket shape. Complete the placket by adding button / buttonhole placement markings. And you are ready to sew! Do you have a pattern hack for the Rushcutter in mind? I'd love to hear about it! If you use this tutorial, I'd love to know! Simply tag your photos on Instagram with the hashtag #draftingwithinthefolds. Posted on February 2, 2016 by Emily Hundt and filed under pattern making tutorials, the rushcutter and tagged the rushcutter pattern blocks pattern hacking. Creating a waist sash is a really simple way to totally transform a silhouette. I decided to include a waist sash in the Rushcutter pattern to give sewers more options for their pattern. If you haven't got the pattern, don't worry, keep reading, I'll tell you what measurements I used so you can make a waist sash for any pattern you like! First, you will need to consider how wide you would like your sash to be. As a guide, the waist sash on the Rushcutter is 3.5cm wide. Then you need to think about how long you would like your sash to be. Remember, you will need quite a bit of extra length for the bow. Consider tying some string or ribbon around your waist to work out how much extra you will need. For the Rushcutter, I took the waist measurement and added 1.15m for the tie. Sounds like a lot, but you really do need it! Once you have your measurements, you can draft the pattern (or draw straight onto the fabric with tailor's chalk). Draw a rectangle DOUBLE the width of your finished waist sash and HALF the length of your finished sash. Add seam allowance (I went for 1cm, but this is up to you) to all sides. If you would prefer not to have a seam in the centre back, just add seam allowance to three sides (2 long sides and 1 short) and then write 'place on fold' on the side that doesn't have seam allowance. Draw a line that cuts the pattern piece in half horizontally that will be your grainline and fold line. Take the two WAIST SASH pieces (from The Rushcutter pattern or the pieces you drafted) that you have cut and, with right sides together, join them together at the centre back with a 1cm (3/8in) seam allowance. Once stitched, press the seam open. With right sides together, fold the sash in half length ways and press. Pin along the long edge and stitch with a 1cm (3/8in) seam allowance. Use your fingers to roll the seam so that it is in the centre of the tube. Press the seam allowance open. Turn back both short ends of the tube by 1cm (3/8in) and press. Take a safety pin or bodkin and attach it to one side of one of the short ends of the tube. Feed the safety pin through the tube to turn the right side out. Press flat. Enclose the short ends of the sash, by stitching nice and close to the edge. Alternative, you could consider sewing by hand (with a slip stitch) to finish the ends invisibly. Give the dress one final press and you are done! Posted on December 8, 2015 by Emily Hundt and filed under sewalong, sewing patterns, the rushcutter and tagged the rushcutter sewalong rushcutter sewalong finishing touches. If you are following along, you will know that over the last few weeks I have been guiding you through the process of sewing a Rushcutter dress. Today we will be joining the body of the dress to the bodice and your Rushcutter will really take shape. With wrong sides together, match the notch at the centre front of the FRONT panel to the notch in the centre of the CENTRE FRONT PANEL. Pin. Continue moving from notch to notch, pinning the two pieces together. Curved seams can be a little tricky, so you will need to use lots of pins! Stitch the seam with a 6mm (1/4in) seam allowance, going nice and slow. Stop regularly to left the seam up and check that all the seams are lying flat and there is no puckering underneath. Trim back the seam allowance by 2-3mm (1/16in) and press the seam up towards the neckline. Fold the seam with right sides together, enclosing the raw edge within the seam. Press and pin. Stitch seam with a 6mm (1/4in) seam allowance. Press the seam down towards the hemline. It is just a quick post today, as tomorrow we are up to binding the armholes, and I wanted to write that as a separate post, so it can be a tutorial you can look back on in projects to come! Posted on November 30, 2015 by Emily Hundt and filed under sewalong, sewing tutorials, the rushcutter and tagged sewing tutorial the rushcutter sewalong. Over the past two days I have shown you how to prepare the bodice of your Rushcutter - View B. At this point we are up to putting in the in-seam pockets. I just LOVE pockets, so I find a way to put them in pretty much every garment I make. Even a soft floaty dress like my Rushcutter. If you're not as partial to a pocket as I am, you can simply attach the FRONT to the SIDE PANELS, ignoring the pocket all together. But if you are a fan of the pocket, well continue on with me today and I'll show you how to get a lovely finish with a french seam. And this method will work for other garments, not just The Rushcutter! Take 1 pair of pockets and, with wrong sides together, match the pockets to the notches on the FRONT. The notch in the centre of the pocket should be matched with the middle notch on the FRONT of the dress. Pin pocket in place. Now, before sewing, I would suggest holding the panel up to your body, and checking how the pockets sit on your body. The top of the panel should sit just above your bust. If the pocket feels too low or too high, remove the pins and place the pocket in a more suitable location (this is when a toile really comes in handy). Measure the distance between the notch on the pocket and the notch on the dress, so that you will be able to place the other pocket pieces in the correct spot. When you are happy with the pocket placement, stitch from the top of the pocket to the bottom, using a 6mm (1/4in) seam allowance. Trim back the seam allowance by 2-3mm (1/16in), from the top of the pocket to the bottom, leaving the rest of the seam untrimmed, on both sides. Open the seam, and press the seam allowance towards the pocket. Fold the pocket back towards the dress, now with right sides together, enclosing the raw edge and the original row of stitching inside the fold. Once again, stitch from the top of the pocket to the bottom with a 6mm (1/4in) seam allowance. Repeat for the other side. Now take the remaining pair of pockets and match them to the SIDE PANEL pieces with wrong sides together, once again matching up the centre notches. If you changed the placement of your pockets on the front, make sure you do the same for the pockets being attached to the side panels. Pin in place and attach using the same method we used for the first side. Press all 4 pocket bags away from the panel they are attached to. With wrong sides together, pin the SIDE PANEL to the FRONT on both sides. Pin up the seam, around the pocket, and then continue pinning the remainder of the seam. Stitch the pieces together with a 6mm (1/4in) seam allowance. You will notice that, when you approach the pocket, your stitching line does not meet up with the seam between the body of the dress and the pocket. This is how it is supposed to look, they will match up when you sew your second row of stitching. Clip into the corners between the pocket bag and the body of the dress, getting nice and close to the row of stitching, but being careful not to cut through. Trim back the whole seam by 2-3mm (1/16in). Turn the pieces inside out, and press the seam flat. Pin and then and stitch along the seam, with a 6mm (1/4in) seam allowance enclosing the raw edge inside the seam. Attach the BACK to the side panels with a french seam. Use the notches to help you position the pieces correctly. Press the finished seams towards the front of the dress. So that brings us to the end of this post! Tomorrow, the Rushcutter will really start looking like a dress as we will be joing to the bodice to the body of the dress. Yay! Posted on November 25, 2015 by Emily Hundt and filed under sewalong, sewing tutorials, the rushcutter and tagged french seams inseam pockets rushcutter sewalong sewing tutorial. The Rushcutter sew-along: View B begins! Today it's finally time to jump into The Rushcutter - View B sew-along, after concluding the sew-along for View A last week. I decided to construct this version with french seams, so that I could offer an alternative finish for those sewers who don't own overlockers, and because French seams are oh-so-nice! If you are not making The Rushcutter, but would like to learn how to sew a french seam, then keep reading. French seams are a good choice for you (even if you do have an overlocker), if your fabric is light to mid-weight. You get a lovely clean finish, which gives your garments a really high-end look. If you would prefer normal seams, just follow along, remembering to put right sides together (not wrong sides together, which is how you go about creating a french seam). With wrong sides together, attach the FRONT UPPER BODICE to the BACK UPPER BODICE and stitch together with a french seam (if you don't know how to sew a french seam, don't worry - I'll explain it in the following steps). Place the UPPER BODICE face down, and fold back the centre back by 1cm (3/8 in), using the notches to guide you. Press in place. Make a second fold, this time 2cm (3/4 in) from the first, using the notches as a guide. Press in place. If your fabric is lightweight, or quite flimsy, I suggest that you consider using interfacing to stiffen your button placket. I did not want to stiffen the whole stand, so decided to just use small pieces of interfacing to reinforce where the buttons and buttonhole will be sewn.You could consider cutting a strip of interfacing as long and as wide as the placket itself - depending on the fabric and finish you are going for. Open up the folds, and place your piece/s of interfacing with sticky side down. The folds will help you position it correctly. Press in place. Re-fold the fold lines and stitch close to the edge on both sides. Your pattern placket is done! With wrong sides together, join the CENTRE FRONT PANEL to the front sides of the UPPER BODICE pieces. Use the notch in the centre of the seam to help you place the pieces correctly. Stitch with a 6mm (1/4in) seam allowance. Trim down the seam allowances on both sides of the CENTRE FRONT PANEL by about 2-3mm (1/16in). Open the seam, and press the seam allowances away from the centre front. Fold the seam, with right sides together. You will see that this will enclose the raw edge and the original line of stitching inside the seam. Press and pin. Stitch the seam with a 6mm (1/4in) seam allowance. Press seams away from the centre front. With wrong sides together, pin the front and back shoulder seams together. Pin in place. Once again, stitch with a 6mm (1/4in) seam allowance, trim back, and enclose raw edge in a french seam. Press the shoulder seams towards the back, and then that's it for today. Tomorrow I'll be walking you through using bias tape to bind the neckline. Don't have bias tape? Make some yourself! Posted on November 23, 2015 by Emily Hundt and filed under sewalong, sewing tutorials, the rushcutter and tagged the rushcutter french seams sewing tutorial. Zip time! And before some of you run away screaming, please just give it a go with me. I promise they're not that scary. Invisible zips really are the easiest zips to sew, and if you go nice and slow, you can get a really nice finish that I promise you will be proud of. Try on the dress and adjust the back opening, if necessary. Finish both sides of the back opening. Lay the dress right-side down and fold up the centre back seam allowance on both sides of the opening by 20mm (3/4in) and press flat. Open the invisible zip, and using a warm dry iron, press the zipper teeth flat. This will help you get nice and close to the teeth when you sew in the zip. Place the zip face down on the right hand side of the dress. Align the stop at the top of the zip with the neckline and the teeth of the zip with the pressed seam line. Pin in place. Now this is the step that really makes all the difference. Take a needle and thread (I always use a contrasting thread because it makes it nice and easy to remove the stitches later), and hand baste the zip tape to the dress. It takes a couple of minutes extra to do this, but it will ensure that the zip does not shift while you are sewing it in - and I prefer hand stitching to unpicking any day! When the zip is attached, remove the pins. Using an invisible zip foot, insert the teeth of the zip into the right-hand channel of the foot. Using your finger, roll the zip teeth so that the zip lies as flat as possible. Slowly stitch down the length of the zip, stopping just before you hit the zip pull. Close the zip and turn the seam allowance under, so that the zip lies flat. Press the fold. You will have noticed that the seam that joins the sleeves to the body of the dress, runs directly through the zip. To ensure the seam lines match up on either side of the zip, take a pin and put it through the zip tape (on the side not yet sewed) in line with the horizontal seam line. Open the zip and place the zip tape face down on the left hand side of the back opening, aligning the pin with seam line. You can use this same method for matching up waistbands, or waistlines on dresses. Pin in place and then continue pinning the remainder of the zip tape (once again aligning the zip teeth with the pressed line). Baste the zip in place by hand. Stitch the second side with your invisible zip foot - this time with the zip teeth in the left channel. Close the zip and give it a good press. Look at those lovely matching seams! Worth it, right? Turn the dress inside out and pin the remainder of the centre back opening closed. Make sure you keep the ends of the zip tape out of the way. Using an ordinary zip foot, stitch the remainder of the centre back seam closed. Start by putting the needle into the fabric where the row of stitching for the zip ends (or as close to that as you can get) and then lower the foot before continuing down the seam with a 2cm (3/4in) seam allowance. With the dress still inside out, press the centre back seam open. At this stage you can remove the basting stitch from the zip tape. And you're done! Not so bad, right? Posted on November 18, 2015 by Emily Hundt and filed under sewalong, sewing tutorials, the rushcutter and tagged sew an invisible zip sewing tutorial the rushcutter sewalong. 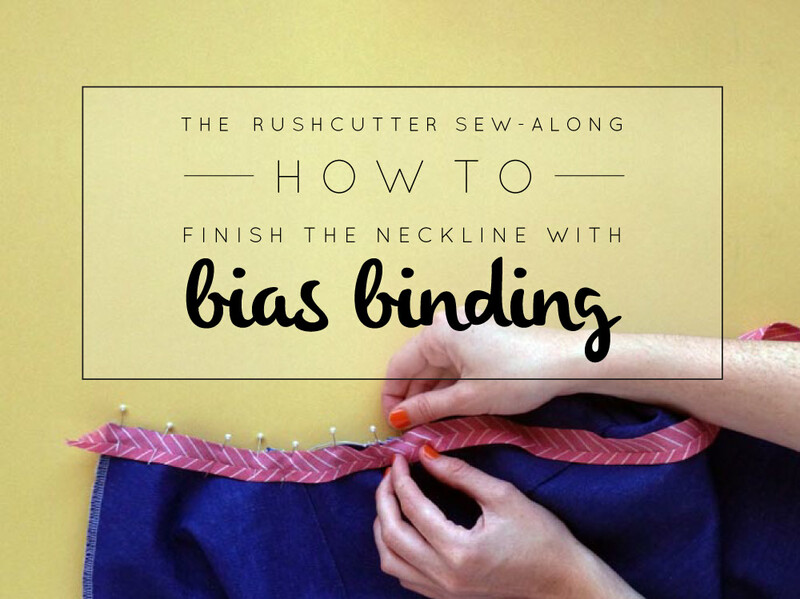 In yesterday's post in The Rushcutter sew-along, I showed you how to make your own bias tape, and today I am going to show you how to attach the binding to the neckline. This method will also work if you are using store-bought binding, and will work on other sewing patterns that ask for a bound neckline and have a centre-back opening. Using a tape measure, measure around the neckline of your Rushcutter. Start measuring from the centre back on one side, and continue measuring around the neckline until you reach the centre back on the other. Cut a piece of bias binding a couple of centimetres (1 inch) longer than your neck measurement. If your binding is not yet folded, place it face down and press one long edge of the binding under by 10mm (5/8in). With right sides together, pin the binding to the neckline (pinning the edge that has not been folded), starting from the centre back and slowly working your way around the neckline. If you have two folds in the binding, that is totally fine. I just save time by only folding in one edge and then using the seam guide on my machine to achieve the correct seam allowance. Before sewing, turn the dress over and check that all seams (and darts) are pressed the right way. Stitch the binding to the neckline with a 1cm (3/8in) seam allowance. Trim any excess binding from the centre back, so that the edge of the binding sits flush against the centre back on both sides. Trim down the seam allowance by 5-6mm (1/4in). This will minimise bulk around the neckline, and help when turning the seam allowance to the inside of the dress. You can also clip into the seam to help it sit flat. Using your finger, press the binding (and seam allowance) nice and flat, and understitch the seam allowance to the binding. This will help the binding to roll to the inside of the garment so that you won't see it poking out on the right side. We will leave the binding like that for the moment, as before we can finish it off we need to sew in the zip - so that's what we'll be doing tomorrow! Posted on November 17, 2015 by Emily Hundt and filed under sewalong, sewing tutorials, the rushcutter and tagged binding sewing tutorial the rushcutter sewalong rushcutter sewalong. Yesterday I showed you how to sew the darts on the raglan sleeve, in The Rushcutter sew-along, so today it's time to assemble the sleeves and get the sleeves and dress sections connected. By the end of this post, it will really start looking like a dress! With right sides together, pin the CENTRE FRONT PANEL to the front side of each SLEEVE, matching the centre notches. Sew each seam with a 15mm (5/8in) seam allowance, and finish the raw edges. Press the seams away from the centre front. At this stage, you can also press your darts towards the back. Finish the bottom edge of both sleeves. Then, with right sides together, fold the sleeve so that you can sew the underarm seam. Pin and stitch with a 15mm (5/8in) seam allowance. Finish the raw edges separately and press open. With right sides together, match the notch at the centre of the FRONT to the notch in the centre of the CENTRE FRONT PANEL. I found getting the sleeves out of the way, by turning the sleeves to the right side, helped me when pinning this seam. 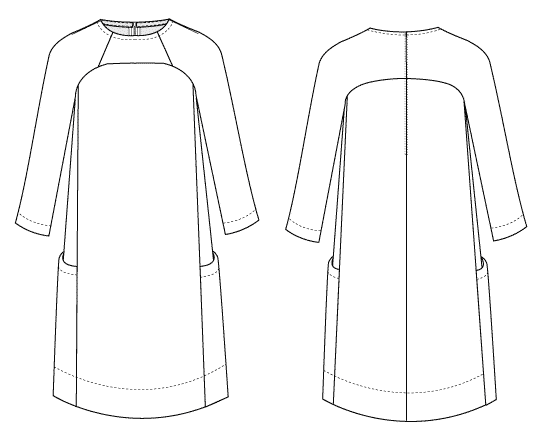 Move next to the seam that connects the sleeve and the centre front panel, and match it to the corresponding notch on the front of the dress. Continue moving from notch to notch until you reach the centre back. As you are matching two different shaped curves together, you will need to be really careful to match up all your notches correctly. Match up all the notches and seams on the second side, and then fill the gaps between notches with more pins to get a nice flat seam. Stitch the seam with a 12mm (1/2in) seam allowance. Go nice and slow, and lift the seam regularly to check that all the seams are lying flat and that there is no puckering on the underside of the seam. Before finishing the seam, open the seam and check that it is smooth and there is no puckering. If there is, just unpick a few centimetres (or as much as you need to get the seam to sit flat) either side of the puckers and then pin and re-stitch. Finish the seam and press up towards the neckline. Press from both the right and wrong side, to ensure that you get a nice flat finish. And that's it for today, is your Rushcutter starting to resemble a dress now? Posted on November 11, 2015 by Emily Hundt and filed under sewalong, the rushcutter and tagged the rushcutter sewing tutorial sewalong rushcutter sewalong. Welcome back to The Rushcutter sew-along. Yay! After all that preparation, it is finally time to start sewing. In today's post, I'll be guiding you through the first few steps of The Rushcutter (View A). We'll be preparing our pockets, stitching them to the side panels, and then attaching our front and back. Take your SIDE POCKET pieces, and finish the top edge of both pieces. Consider using an overlocker, zig-zag stitch, binding, or even folding the raw edge under by 1cm. The best finish for you will depend on your chosen fabrication. There is a notch on either side of the pocket, 4cm (1 1/2in) from the finished edge. You will be using these notches to help you fold back the pocket hem. With the pocket face-down, fold back the top of the hem by 4cm using the notches to guide you. Sew along the edge to secure the hem in place. I used the edge of my overlocking as a guide to keep my stitching straight. If you are using a striped fabric, consider sewing your hem from the right side, so that you can follow a stripe, and get the line of stitching in exactly the right place. Work out which pocket is for your right side and which is for your left, by checking the notches. Double notches indicate the back of the panel, and a single notch indicates the front. With right-sides facing up, place the SIDE POCKET on top of the SIDE PANEL, matching the double notch on the pocket with the double notch on the side panel, and the single notch on the pocket with the single notch of the side panel. This ensures that the right pocket is matched with the right side panel. Pin in place. You will notice that the pocket is slightly wider than the panel it will be stitched to. This is how it is meant to be! The pocket piece is designed to be a little wider, to create a bit of shape and volume in the pocket. Stitch around the edge of each pocket, using a 6mm (1/4in) seam allowance. This stitching is just to hold the pocket in place for when you attach the front and back pieces to the side panel. This stitching will be hidden within the seam allowance. With right sides together, pin the SIDE PANELS to either side of the FRONT. Use the notches to guide you - especially if you are using a slinky fabric that is prone to stretching when cut on the bias! Check that you are attaching the edge of the SIDE PANEL that has single notches. Stitch each seam with a 15mm (5/8in) seam allowance, and finish the seam. With right sides together, pin the open side of each SIDE PANEL to the corresponding BACK PANEL (you will know which one is which by looking at the notches). Stitch seams with a 15mm (5/8in) seam allowance. Finish the seam. Press the seams away from the SIDE PANEL. The seam allowances should match up nicely with the curve. Well that's all for today! Tomorrow we will be getting onto the sleeves, so stay tuned. Posted on November 9, 2015 by Emily Hundt and filed under sewalong, the rushcutter and tagged the rushcutter sewalong. So it's finally time to cut out our Rushcutters! If you are sewing a long with me, by this stage you should have gathered your supplies, picked your size, printed your pattern, made a toile and made any necessary adjustments. Now that much of the hard work is done, it's time for the fun(ner) stuff! Grab you fabric (that you have pre-washed, dried and pressed) and lay it out on a flat surface. I won't judge you if your only flat surface is on the floor! I went years without a proper cutting table and I managed just fine - so use whatever space you can. Generally speaking, most patterns ask you to fold your fabric lengthways, matching selvedge to selvedge, so that you can cut a piece once and get a pair. This is the most time efficient method (and what I included in the pattern's instructions), but I must say that I generally cut flat. By cutting flat, you get much more control, which is especially good if you are using a placement print or matching a print or stripes. The other bonus is that you use much less fabric. Above, I have shown the suggested lay plan for View A on 115cm (45in) wide fabric. By cutting flat, instead of on the fold, you could save almost 1 metre (the saving is not so big when using 150cm wide fabric - about 30cm). So if you are tight on fabric, or have a bit of extra time up your sleeve, then I recommend giving it a go. If you are using a heavy weight fabric, consider cutting your in-seam pockets (View B) in a lighter weight fabric. You could also consider a lighter fabric for the neckline / armhole binding. You may also want to use consider adding interfacing to your hem facings - if you would like to add weight to the hem. After working out what pattern pieces you require, cut loosely around the pattern pieces. This will make them much easier to handle, and give you more flexibility when working out the best cutting layout. If you are cutting on the fold, fold your fabric lengthways, with right sides together, matching your selvedges. You may notice that I cut my pattern with wrong sides together. This is because I was planning to make my dress with the wrong side of the fabric on the outsidem but changed my mind at the last minute! 1. Place your pattern on the fabric, and measure the distance between one end of the grainline and the selvedge. Hold this side in place with a weight or pin. 2. Measure the distance between the other end of the grainline and the selvedge, and pivot until it is the same distance as the first side. 3. Use weights (or whatever you have got lying around) to hold the pattern in place, and use pins to hold in place. 4. Cut around the edge of the pattern, being very careful to get as close to the line as possible. When the piece is cut, work your way around the pattern, cutting into each notch. The notches are 6mm - try not to cut them any longer as you may risk getting too close to the stitching line. Be careful to find them all - they really do help when making sure you are putting the correct pieces together! There are a number of ways to mark the dart point, and the best option will depend on the fabric you are using. 1. If you are using something stable, or dark in colour, fabric chalk or fabric pen will work fine. 2. Mark the dart point on one side of the fabric, and then put a pin through the point so that it comes out the other side. Make sure the pin is nice and straight, and then mark the dart on the other side with chalk. 3. If your fabric is a little more delicate or prone to moving, use a needle and contrast thread to put one long stitch through both layers of fabric at the point of the dart. Tie a knot at wither end of the thread. 4. Open up the two pieces and cut the thread in between. Now you can tie a knot on either side so that the stitch remains in place. Do you cut the old-school way like me? Or are you a rotary cutter kind of gal (or boy)? Posted on November 4, 2015 by Emily Hundt and filed under sewalong, the rushcutter and tagged cutting fabric the rushcutter sewalong rushcutter sewalong. In yesterday's post, I showed you a few alterations that you may want to make to The Rushcutter: lower the neckline, add or removing volume, shortening and lengthening the pattern. Today I have a follow on post for you, as I was worried I might intimidate you if I put all the alterations in the one post! The Rushcutter sewing pattern is designed to be over-sized, so there is a lot of ease in it. It may be a little too much for some of you, so, in today's post, I will show you how to slim down the dress a little. It is not overly complicated, but is slightly more difficult than it would be on a more conventional pattern, as it does not have side seams! I would suggest, before making any major adjustments to the pattern (like this one) make a toile, so you know exactly how much width you can afford to remove from the pattern. 1. To start, take the 'Side Panel' pattern piece. This is where we will be removing some width from the pattern piece. The grainline, which runs right through the middle of the pattern piece (and therefore down the side of the body) is where you will be removing the fabric from. 2. Work out how much you would like to remove, by referring to your toile. You will want to take the amount evenly from both sides of the dress. Divide the total amount by 2 and then distribute this measurement either side of the grainline (on the stitching line) - half on the front section of the pattern piece (indicated by the single notches) and half towards the back (indicated by the double notches). 3. Cutting from the top, cut along the grainline, down towards the hemline. Do not cut all the way through the pattern. Stop a 2-3mm from the bottom, so that a small "hinge" of paper remains intact. You will now notice that you can separate the two sides of the pattern quite easily, without detaching them entirely. 4. Now, swing one side of the pattern over the other (doesn't matter which one) until the points that you marked overlap. You will see that, by doing this, you have removed a slice from the middle of the pattern. Tape (or glue) in place. 5. By taking out this slice, the underarm curve will now come to a sharp point. Redraw the stitch line and the cutting edge, with a nice smooth line, to correct this. Now that you have removed some width from the side panel, you will need to remove the same amount from the raglan sleeve - as these two pieces are sewn together. 1. Remember the amount we distributed either side of the grainline on the side panel? Take this measurement and divide it by 2. Measuring in from the underarm seam (remember to measure from the stitch line, if your pattern still includes seam allowance), marking a point the distance determined. Repeat for the second side. 2. 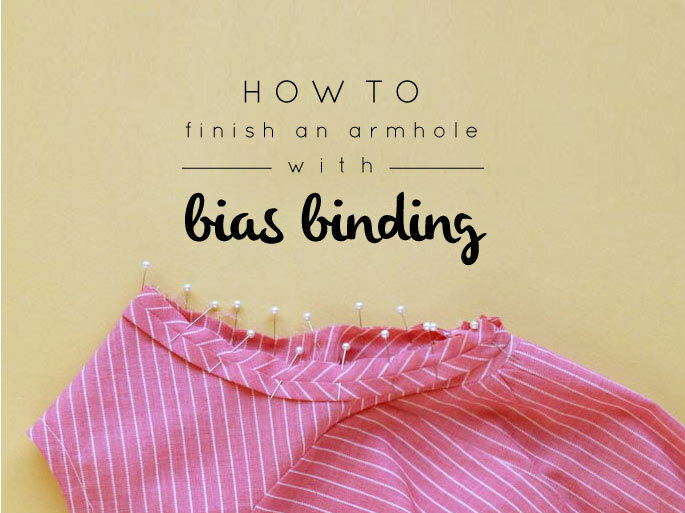 Draw a line from the points marked, down towards the hemline, meeting with the original stitch line, at the line that indicates where to fold up the sleeve hem. 3. Redraw the cutting line, by adding 1.5cm seam allowance to the new line. You may decide to make a short version of the Rushcutter. Megan, one of my lovely testers, decided to shorten hers to tunic length. Nice, right? The only problem is that you end up losing quite a bit of pocket depth. The easiest way to solve this is to simply re-draft the pocket piece, so that it will be your desired depth. I will show you how I drafted the original pattern piece, so your new pattern will fit perfectly, just like the original! 1. Work out how deep you would like to make the pocket, you can do this by referring to the original pattern piece, or by holding the 'Side Panel' pattern piece up to your side and marking where you would like the pocket to start. Mark the point on the grainline of your pattern piece. 2. Draw a line, perpendicular to the grainline, from the marked point. Extend the line 5mm past stitching line on both ends (this is because the pocket panel was drafted to be slightly wider than the piece it is stitched to, to add a little volume). 3. Starting at one endpoint, draw a straight line that meets the bottom corner of the pattern piece, easing back into the original stitch line. Repeat for the other side. 4. Take a seperate piece of paper and trace a copy of the new pattern piece, being sure to also transfer grainline and notches onto the new pattern piece. 5. Add seam allowance to both sides and the hem (not the top edge, just yet). The seam allowance needs to be 1.5cm on each side and 1cm at the hem. 6. Draw a line that runs parallel to the top edge of the pocket, 4cm above the original line. Fold along the top edge of the pocket. 7. Trace the seam lines onto the pocket hem (you want to do this so that when the piece is cut, and you fold the top hem of the pocket back to finish the edge, it meets the pocket smoothly). 8. You now have your pocket piece! Add markings and get sewing! After trying on your toile, you may feel that the dart does not quite sit on your shoulder. If this is the case, you may want to move the dart slightly forward or backwards, from its original position. 1. 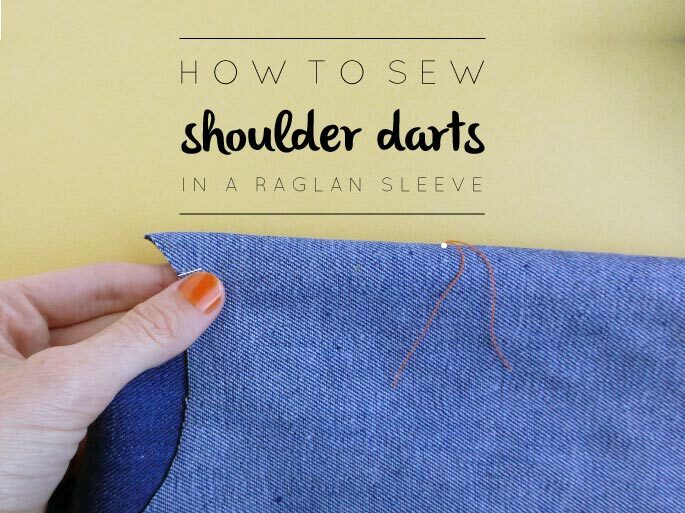 Work out where your dart needs to be (by measuring in relation to the original dart) and draw a straight line running from the new location on the neckline, to the original dart point. 2. Focusing on the original dart, cut down the outside dart arm, from the neckline to the dart point. Don't cut all the way to the end, stop when you are 2-3mm away. Do the same with the line you just marked, also stopping a few millimetres from the end. This will create a small 'hinge,' which allows you to move this section of the pattern, whilst still keeping the pieces attached. 3. Rotate the cut section until you have closed out the original dart (one dart arm overlaps the other), and tape in place. 4. You will now see that you have opened up a new dart. To complete it, you will need to add dart shaping, and seam allowance to the new dart. Okay, thats it for today's post. And guess what, tomorrow it's finally time to cut some fabric! Yippee! Let me know if there is an alteration that I didn't include in today or yesterday's post that you need! Posted on November 3, 2015 by Emily Hundt and filed under fitting, pattern making tutorials, sewalong, the rushcutter and tagged pattern alterations pattern tutorial patternmaking the rushcutter move a dart.